Lawyers for the National Hockey League have engaged in settlement negotiations with attorneys for former players who allege the league lied to them about the dangers of repeated head trauma and concussions. Details of the talks are unclear, but one lawyer representing former NHL players confirmed to TSN that there have been settlement talks with the league. TSN has obtained a 19-page transcript of an Aug. 30 court hearing in which U.S. District Court Judge Susan Richard Nelson is quoted commenting on the private talks being held to resolve the contentious lawsuit. Judge Keyes is a retired federal court judge in Edina, Minn., who runs a mediation and arbitration company. Neither Judge Keyes nor an NHL spokesman responded to a request for comment. Bucky Zimmerman, a lawyer for the former players, declined to comment. It may seem odd timing for the NHL to consider settling the case. On July 13, Judge Nelson denied to certify the NHL concussion lawsuit as a class-action case, meaning that as many as 5,000 living NHL alumni didn’t automatically become plaintiffs in the case. Instead, former players will now have to pursue individual lawsuits against the NHL. A lawyer for one of the plaintiffs told TSN that 138 former players have filed lawsuits against the NHL and another 150 former players have formally retained lawyers but have not yet filed lawsuits. About 100 of the 138 formal plaintiffs filed their cases in Minnesota. Others have had their cases transferred to the state in recent years. During the Aug. 30 hearing, Judge Nelson told the court she wanted to “talk about a path forward” following her class-action decision. She also said she wants to clear time in her court calendar in early 2019 to begin trying individual player lawsuits that were originally filed in Minnesota. Lawsuits filed in other U.S. states that were transferred to Minnesota pending Judge Nelson’s class-action decision will likely be returned to their original jurisdictions following pre-trial motions. Jodi Balsam, a former NFL lawyer who now teaches at Brooklyn Law School in New York, said it makes sense for the NHL to talk settlement after winning the class-action decision. “They’ve won a fairly consequential pre-trial ruling,” Balsam said. 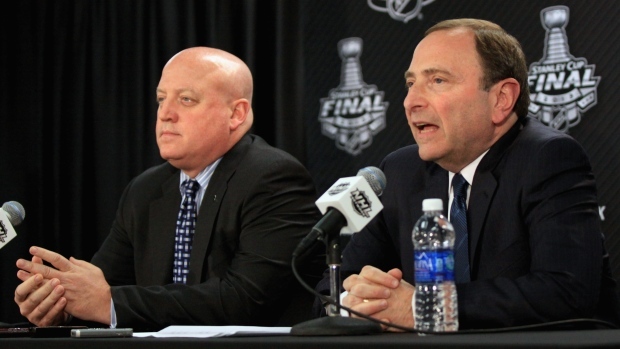 “With that win, the NHL is in the best settlement posture it will be in a while. It may be the best moment for the NHL to consider settling. Balsam said it’s also possible that after the class-action ruling, some of the former players may be willing to settle their claims for a portion of what they had originally hoped. Balsam said that in the NFL concussion lawsuit, the league consented to a class being formed for settlement purposes. That way, the NFL was able to bar any future claims. The NHL could follow that same strategy, Balsam said. Balsam said also makes sense for the NHL to settle now because it avoids the uncertainty of trials. In the NFL settlement, brain-injured players were eligible to receive as much as $5 million apiece. Balsam said it’s unlikely that NHL players would get a settlement that rich. In the weeks since Judge Nelson’s class-action ruling, several additional players have filed lawsuits against the NHL including: Mark Hardy, a defenceman who played 15 NHL seasons with the Los Angeles Kings, New York Rangers and Minnesota North Stars between 1979 and 1994; John Cullen, a former all-star with the Pittsburgh Penguins; Garth Butcher, a defenceman who played 897 NHL games, mostly with the Vancouver Canucks; and Dan Quinn, a centre who played 14 NHL seasons. Former Maple Leafs all-star defenceman Ian Turnbull, who played 628 NHL games, and Bryan Berard, the first-overall pick in the 1995 NHL entry draft, have also filed lawsuits against the NHL.